VegFund has donated 25,000 euros to the Vegan Synagogue Challenge, which will be equally distributed between five synagogues in the USA. The synagogues have committed to participating in a vegan program for one year. The financial support from VegFund, a program that supports vegan activist activities of all kinds, according to the website is earmarked for the purchase of vegan food, with which plant-based versions of various Jewish dishes such as the stew “Tscholent” will be cooked. The Jewish animal welfare group behind the project, “The Shamayim V’Aretz Institute”, whose founding member is “Big Bang Theory” star Mayim Bialik, is committed to putting animal welfare on the Jewish agenda. Before the project there were no vegan synagogues in the USA. After the Vegan Synagogue Challenge there will be five, with the potential for more. 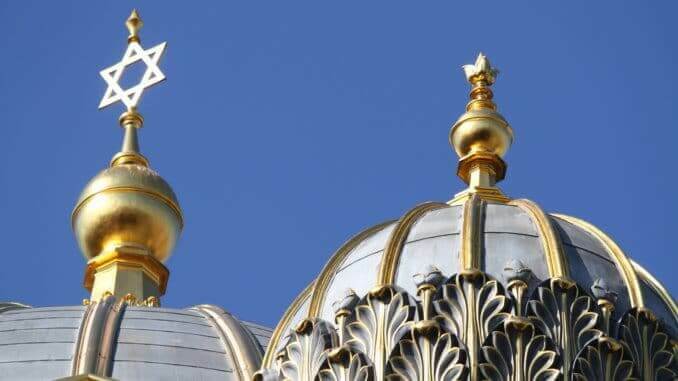 The first five vegan synagogues in America will be Romemu in New York, Rodef Shalom in Colorado, OHEL in Florida, Agudath Jacob in Illinois and Ohev Sholom Temple in Virginia. “It’s about saving lives,” said Rabbi Dr. Shmuly Yanklowitz, director of the Shamayim V’Aretz Institute, in a published statement. Yanklowitz, 36, has been vegan for six years. The synagogues will save a considerable amount of money by renouncing meat, along with the ethical benefits. With this project, the respective synagogues will not only support animals and the environment but will also be following a steadily growing trend worldwide which is competing with the meat industry. Along with new innovative dishes, there are plant-based alternatives or even competitors for traditional cuisine, for example the vegan Indian dishes by Vezlay.